NER 300 is one of the world’s largest funding programmes for highly innovative low-carbon energy demonstration projects, although it is not funded by the EU budget but by resources coming from the EU Emission Trading Scheme (ETS). The programme is conceived as a catalyst for the demonstration of environmentally safe carbon capture and storage (CCS) and innovative renewable energy (RES) technologies on a commercial scale within the European Union. The programme (about EUR 2.1 billion) funds 38 projects in 19 EU countries. The event will provide an overview of the current state of the NER 300 programme and its future. Experiences from funded wind energy projects will be shared with the audience and a panel will discuss challenges and opportunities identified. The session will raise awareness about the Commission’s efforts to accelerate the deployment of low-carbon energy technologies, and increase the undertaking of, and confidence in, CCS and RES. 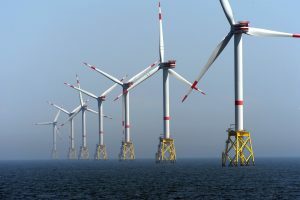 The expected target audience are the European energy technology stakeholders from the wind industry, research, government, NGO and other interest groups and associations along the whole RES and/or CCS research and innovation chain.